There are actually a number of ‘states’ for a link in web design, which must be accounted for across all pages. The normal state of a link is one that is not being hovered over, clicked or pointing to a URL that the visitor has already visited; the visited state is a link that is not being hovered over but is one whose URL has already been visited; the active link is one that is being clicked by the user; and the hover link is one that the user is moving their mouse over. You would think that any forms being created in the web design process would feature in the forefront of designers’ minds, yet this is not always the case. If you are one of these designers, it is likely that your forms will be so user un-friendly that they send visitors running in the other direction. When creating a form you should tell visitors what the personal information they are providing you with will be used for and how the layout will be styled. There are a number of uses for buttons in web design, but their various ‘states’ are often overlooked (similar to those of links). The default state of a button is when it is waiting to be clicked; the hover state is when the visitor is moving their mouse over the button; the click state is when the button is indicating that the visitor has clicked on it or is currently viewing that page; and the disabled state suggests that the button cannot be used at the moment. In most cases, visitors like to receive some sort of feedback or confirmation after completing an action on a website to let them know whether it has been successful or not. When creating your web design, take into account the different actions that visitors may choose to take and what sorts of messages they may be expecting to popup. Some of the most common messages include errors (when an action has failed), warnings and confirmations. When you are working on a web design for a site that is not Flash-orientated, it can be very easy to overlook animations. Whilst this often leads to them being left out altogether, they are useful in a number of areas. A tooltip is a popup when a visitor moves their mouse over certain elements; an image rotator allows for a slideshow to be included on the page; and a lightbox can be styled to match the website, as well as its transition be customised. This is an element that is constantly overlooked in web design, but this is, more often than not, a result of it not being the core focus of the website and not laziness of the designer. The best way to overcome this is to thoroughly go over the design at the planning stag to see where emails could be included – a confirmation of a mailing list sign up, registration, form completion, or order verification. You could even prepare an email template that mirrors the website for a seamless transition. When visitors are filling out forms that have been included in a web design, it is important that their requirements and any errors that have occurred are communicated effectively. 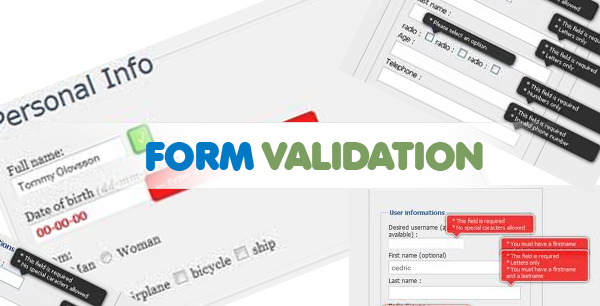 The required fields function indicates (usually with an asterisk) fields that visitors must fill out; the real-time validation function indicates errors as the visitor fills out the form; and post-back validation function indicates errors after the visitor has tried to submit the form. So, why is it important that the above elements are never overlooked when drafting a web design? The main reason is that it can cause problems during the development stage, as the developers will be forced to add these elements in themselves. In many cases, developers have very little or even no design experience, meaning that the elements aren’t executed as well as they could be or that they are left off altogether. By always making sure that you include these elements, you can avoid these sorts of problems. John has been working as a freelance writer for Zeemo. The company is known to provide excellent services for web development, online marketing and web design in Melbourne for over a decade now.